We've worked with Kohn Pedersen Fox Associates many times. 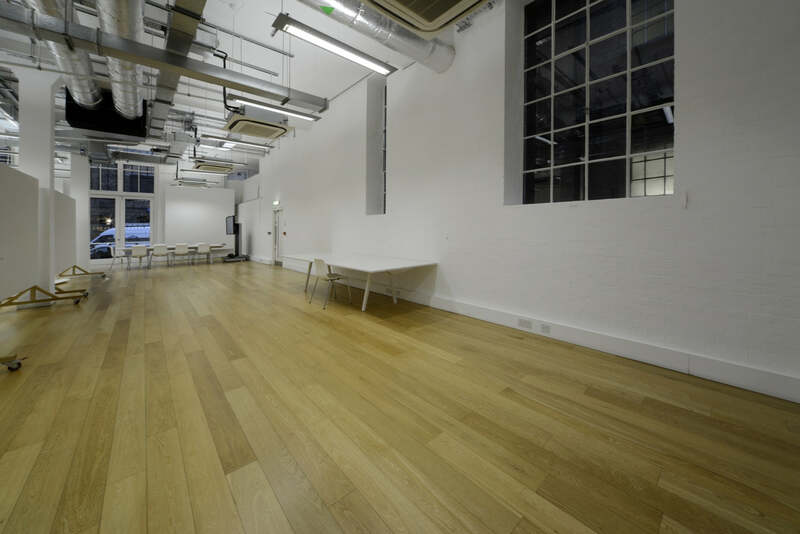 When they came to us for their own London office we wanted to give them a beautiful hardwearing wood floor. 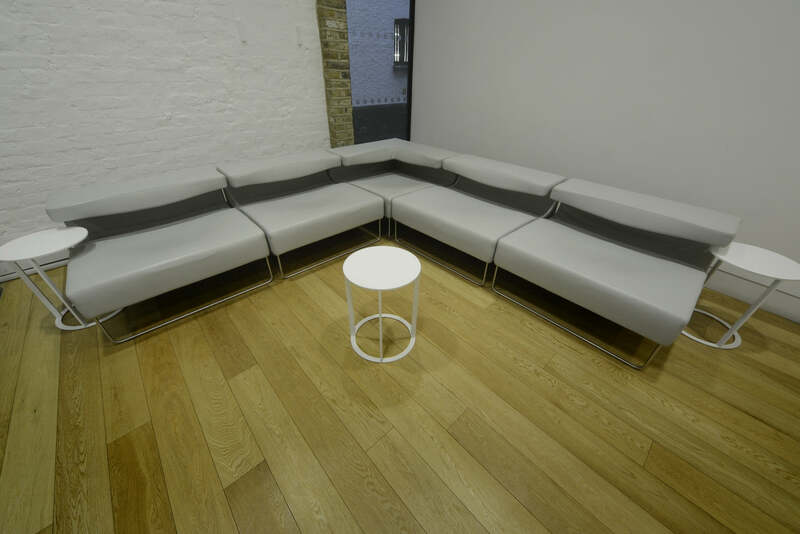 Our E302LN prime oak flooring worked perfectly with the minimalist design ethos of the project. The floor not only had to be beautiful but also practical. 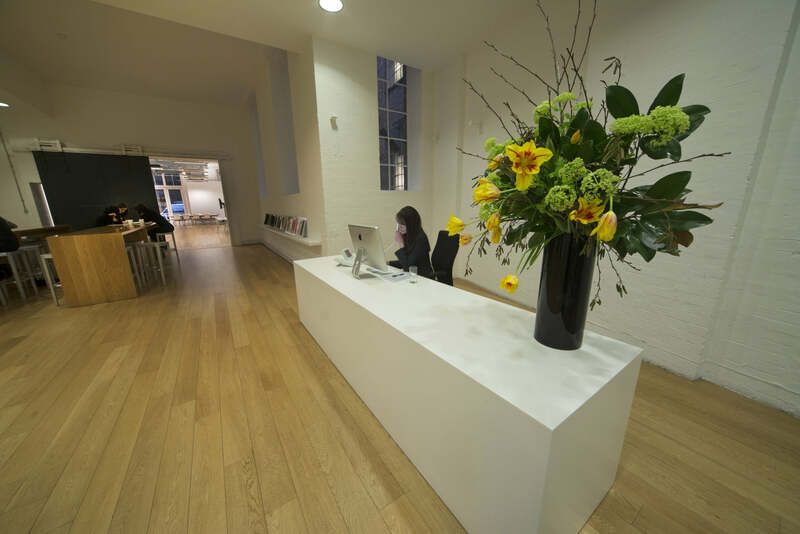 A busy London office floors needs to be easy to clean and maintain, but also strong enough to handle heavy traffic. 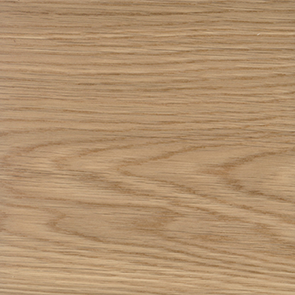 We've used nine coats of Bona industrial length lacquer to fully seal and protect the prime oak flooring. This lacquer requires minimal maintenance and cleaning which keeps this welcome area clean and clear.